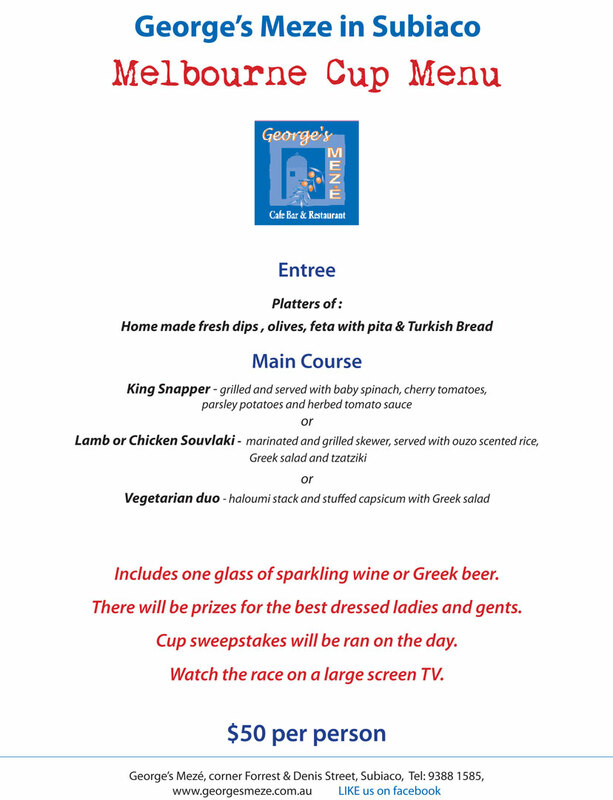 Includes one glass of sparkling wine or Greek beer. There will be prizes for the best dressed ladies and gents. Cup sweepstakes will be ran on the day. Watch the race on a large screen TV.